The people seem to be attracted by his concentration! 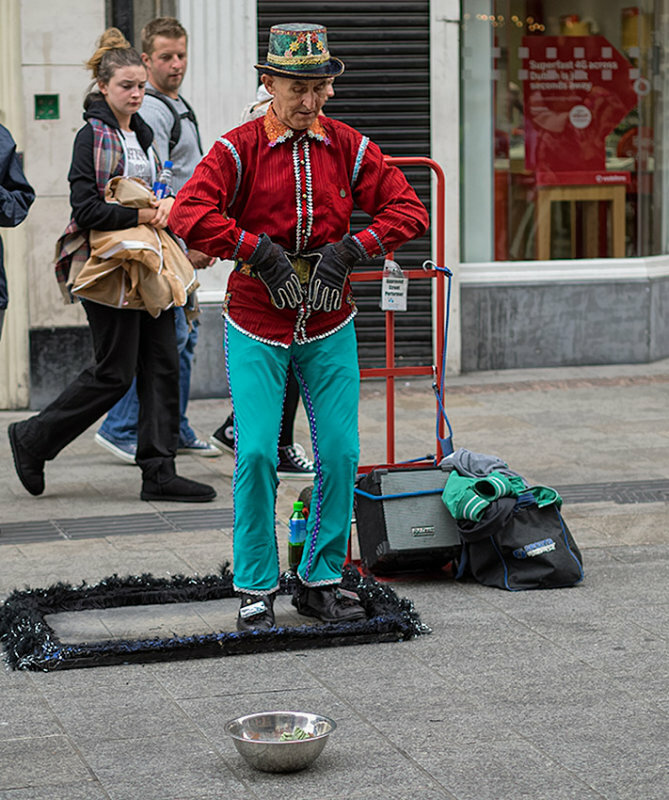 V.
Great portrait of this street performer. I like his pose and look, and the looks of the passers by. "V"